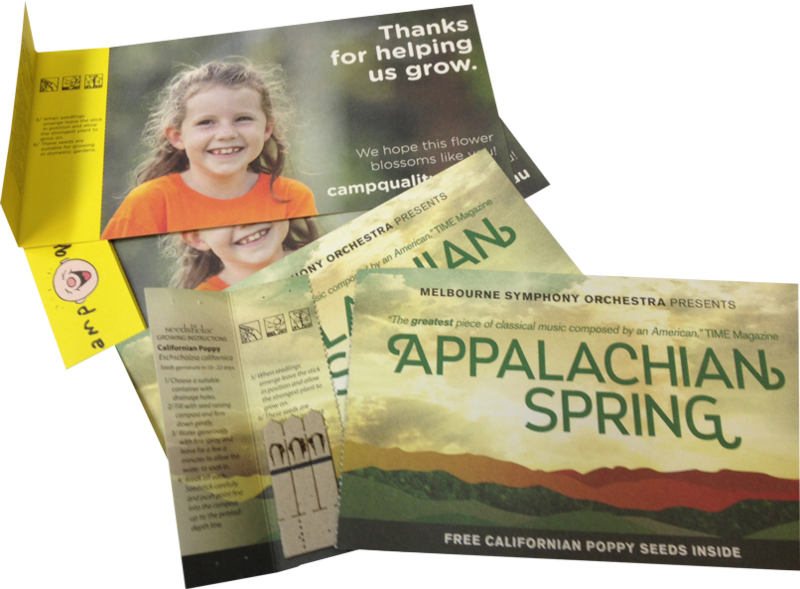 Our Postcard pack is essentially a DL size card with 3 seeded sticks stapled inside a detachable folded flap. Ideal for mailer with large printable area front and back. Pack size when floded and stapled is 98mm x 190mm. Minimum order quantity is 250 units.